The Green Bay Packers have invited personal trainer and motivational speaker, Lt. Col. Bob Weinstein, the Health Colonel, to Lambeau Field in Green Bay, WI, on Feb. 16, 2008, where he and the Packers plan to inspire and energize 200 middle school PE-teachers and principals on how they can keep the nation's youth fit and healthy. "We have a youth health crisis in the US," says Weinstein, a personal trainer specializing in military boot camp-style exercise programs. "We are killing our children by instilling a sedentary lifestyle and unhealthy eating habits." Recently featured on the History Channel, Weinstein is a retired U.S. Army Lt. 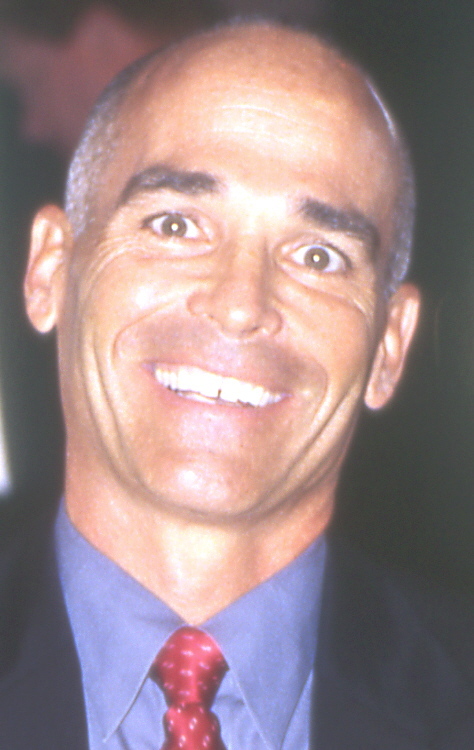 Colonel with 30 years of combined active duty and reserve service, self-employed with his own business The Health Colonel Corporation, based in Fort Lauderdale. Two hundred middle school PE-teachers and principals have been invited to the all-day event at Lambeau Field to inspire and encourage the nation's teachers to do more fitness with youth. 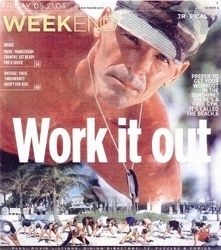 Weinstein conducts Beach Boot Camp on Fort Lauderdale Beach, Florida and is a motivational speaker and personal trainer. He has been widely featured in press and on television, including, in the past, on the History Channel, Fox Sports Net, NBC6 South Florida, Eurosport, Univision, PAX Television, The Washington Post, The Miami Herald, The Las Vegas Tribune and Telemundo. Asked what he intends to accomplish in Green Bay with the Green Bay Packers, Weinstein responds, "I will challenge every teacher and principal to leave Lambeau Field with a sense of urgency to instill in our youth both in school and at home to have fun, eat right and lead an activities and values-based life. "We are all role models in everything we say and do or do not do. We are walking around with the most affordable and portable exercise equipment in the world, our bodies. Setting the example of the importance of exercise and healthy eating in our lives and our programs and curriculums is essential." The fitness education event is part of an ongoing series of community support programs and activities put on by the Green Bay Packers. About 15 percent of children and adolescents ages 6 to 19 years are seriously overweight. The percentage of children and adolescents who are defined as overweight has nearly tripled since the early 1970s. More than 10 percent of preschool children between ages two and five are overweight. Another 15 percent of children and teens ages 6-19 are considered at risk of becoming overweight. Researchers have found that lowered self-esteem was associated with being overweight in girls as young as five. One in five children in the U.S. is overweight. Children ages 10 to 13 who are obese are expected to have a 70 percent likelihood of suffering from obesity as adults. Born in Washington, D.C., Lt. Bob Col. Weinstein grew up in Virginia and spent 20 years in Berlin, Germany; he is retired from the Army Reserve as a Lieutenant Colonel with 30 years of service and spent about half of that time as a military instructor with the Command & General Staff College. His background is unique and diverse, including: military instructor, attorney, motivational speaker, wellness coach, certified corporate trainer, and certified personal trainer. He is also fluent in German and English. He now specializes in conducting military-style workouts on Fort Lauderdale Beach utilizing strength, cardio, flexibility and agility training -- both in personal training and group sessions. He is a member of the National Speakers Association and the American Council on Exercise, and is currently working on a book about personal development, health and fitness. Some of his previous clients as a guest speaker include: Sony, DHL, American Express, KPMG, AOL Latin America, IBM, AARP, SmithBarney and Humana. You can find out more about the Health Colonel and his personal trainer programs at http://www.beachbootcamp.net. The Green Bay Packers Web site is found at http://www.packers.com.